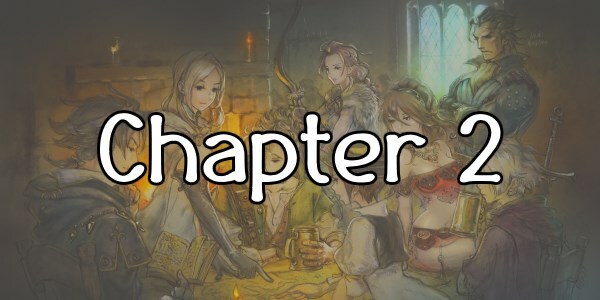 Octopath Traveler was released in July of 2018 exclusively for the Nintendo Switch. 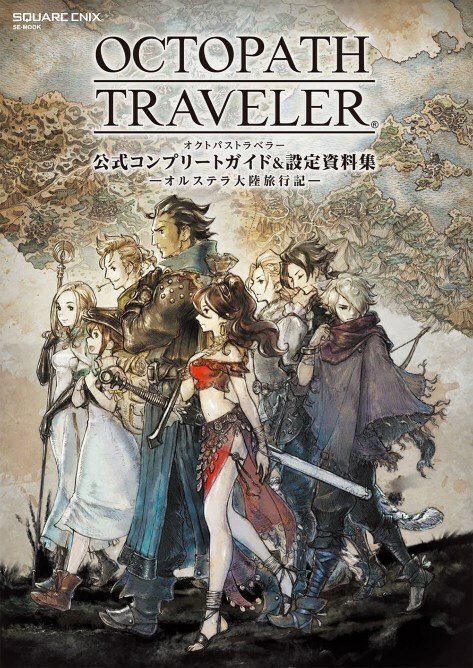 It is a jRPG developed by Square Enix and Acquire, using much of the staff from the popular Bravely Default games. Developed in Unreal Engine 4, the appeal of this game is immediate for fans of old-school jRPGs. The game uses old-school sprites reminiscent of early games, but blended in with modern-looking environments and weather effects, creating what the developers termed a "HD-2D" style. The result is a beautiful game that, combined with its utterly fantastic music, results in one of the most striking presentations of any game in this gaming gen. The gameplay takes some elements of Bravely Default but is really its own beast, focusing on finding and exploiting enemy weaknesses to "break" them, interrupting their turns and doing extra damage. There's a boost system to deal multiple attacks in a turn, increase damage of techs, extend de/buff durations, and more. And of course there's a job system on top of that, allowing you to choose which abilities you learn and throwing passive abilities to encourage diversifying your job pool. This means random encounters aren't simply "Mash A" to win, and emphasizes tactics over levels, allowing you to take on bosses far beyond your punching weight. Octopath Traveler focuses on the travels of eight different characters, each with their own distinct story. 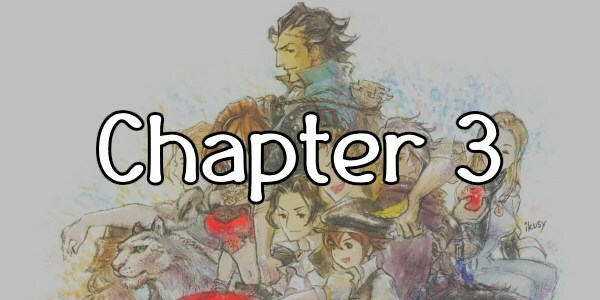 For better or worse, there's no real overarching story for this one, and character interaction is oddly limited to easily-missible skits within the later chapters and some post-game conversations. The stories aren't groundbreaking, but if you're fine with the game's structure they, and especially the characters, can be entertaining set pieces for the combat and visuals. On top of that, the Path Action system adds some life to the traditional town structure, letting you learn more about the NPCs, barter or steal from them, beat them up, or even temporarily recruit them for use in battle. And there's over a hundred side quests to go through, many with two different ways to solve them using your Path Actions. This Let's Play will be as close to 100% as I can reasonably achieve. I will show off every character's story in full, every side quest, probably every side dungeon, everything I have the will to show off. 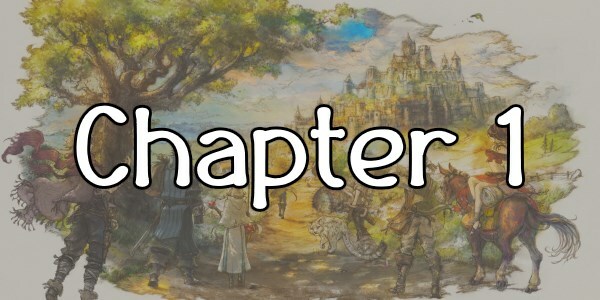 This game is long (it took me ~80 hours to do this in my first playthrough), so my plan is to do a lot of smaller mini-updates for stuff like towns and side-quests, while character updates will generally take two updates per each of their four chapters. NO SPOILERS WHATSOEVER. NO TAGS, NO LINKS, ABSOLUTELY NOTHING. Awesome! Hope you're enjoying them!